The summer holidays are nearly coming to an end which means the new school term is just round the corner. Get all your back to school prep done and dusted with our huge variety of retailers and department stores. We’ve complied a list of the essentials your kids need to start the term on the right foot. 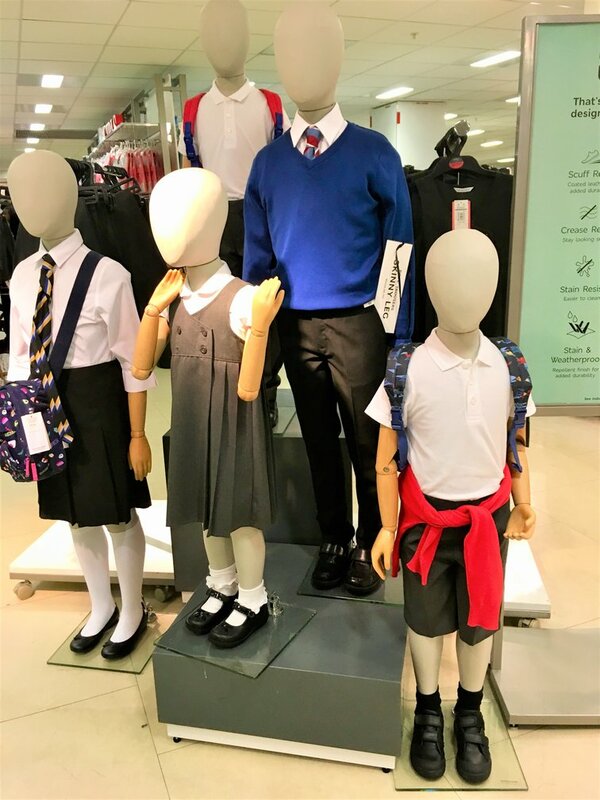 M&S have a great range of school uniform for all ages from their first day of reception to their first day of secondary school. Their uniform is proven to be stain-busting, crease-resisting and have size-adjusting innovations to keep up with the manic life of children, making your life as a parent that little bit easier. Clarks are the go-to store for school shoes that are made to last. They offer a complimentary service where they will measure your children’s feet to make sure their new pair of shoes are the perfect fit. Possibly the children’s most favourite part of back to school – stationery shopping! There is a huge range of fun, quirky and colourful stationery for all ages in store at Tiger. Their new Llama collection is just too cute to resist! Keep all their bits and bobs together with a backpack that shows off their personality. Choose from a variety of cute designs at Cath Kidston, ranging in all different sizes. For limited time only, if you spend £35 on Cath Kidston Kids in store and you will also receive a free pencil case. Make lunch time fun with these character lunch bags from John Lewis. All of them are insulated to keep your kids lunch cool and easy to wipe clean for any food mishaps.